We left Rajasthan and boarded a train for a long, 20 hour, ride to Mumbai. Once again we were greeted by the kind smiles of our Indian travel companions. One of our cabin-mates was also kind enough to help Abby out when she was trying to buy food and chai from the locals whenever the train made a stop at a station. As Abby has said, you can't really find more friendly people. Train travel isn't always the cleanest endeavor, but for the price and the experience it can't be beat. We've grown used to the occasional pest (insect, rodent, smoking Chinese man, etc.) on our travels. Even the odd mouse that had run through the cabin on previous trips didn't even seem to faze Abby. However our trip to Mumbai was a little more lively. We have been carrying a "food bag" with us, with a few snacks to munch on for various train and bus trips. I had this food bag in my bunk and as people started heading off to bed and turning the lights out in their berths I thought I heard a rustling coming from the direction of our bag. On initial inspection nothing was to be found. However, upon closer examination I discovered that we had been pillaged. A corner of the food bag had been chewed through and into a plastic bag of green beans. A box of biscuits had been sacked and some fresh chapati we had purchased for the train ride had been attacked. At this point my mindset changed, no longer were these just simple pests, now it was personal. It seemed like mice were everywhere, running all over the floors of the train. I'm sure much of this was exaggerated in my head, but even so I slept with one eye open that night. When we woke in the morning I told Abby of the "horror" of the night before. She was possibly slightly disgusted, but took the food bag down from where I had secured it in the night to prevent any further infiltration. She inspected the damage until one of the rodent assailants flew from the bag and as Abby describes "touched me!". Needless to say we were both glad we would be flying to our next destination. As the train rolled into Mumbai we got our first sight of one of elements of the Mumbai dichotomy, the slums. Mumbai as we have come to see is a very modern city, full of nice apartments, fancy restaurants and hotels. Some of it has a very posh and western feel. The other side of Mumbai is the poverty and the slums. The slums are large, once open areas that are filled with small shacks pieced together and supporting each other. Like a hut version of a townhouse. Though, as we have found, as bad as the slums look it seems much better than the alternative of being homeless. During the day the homelessness isn't nearly as apparent, but on one of our morning runs, heading out before the sun came up, we saw many people curled up under blankets on the street and cooking their morning's breakfast with a small wooden fire. However as Abby mentioned in her recent post this seeming destitution has a different, less negative feel in India. We caught a taxi to our hotel, which was in a nice area of town and very close to many of the sights. We both had started reading the book Shantaram, Abby for the second time, before heading to Mumbai. 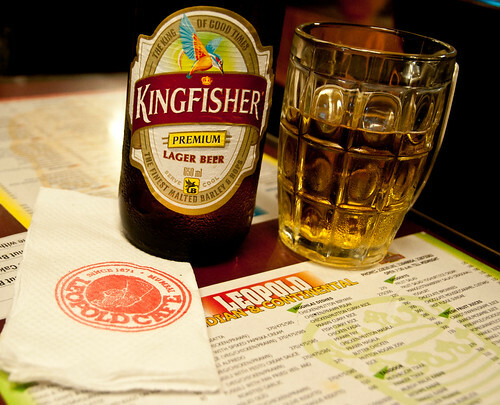 So we figured we do the touristy thing and visit Leopold Cafe, a hot spot mentioned in the book and close to our hotel. 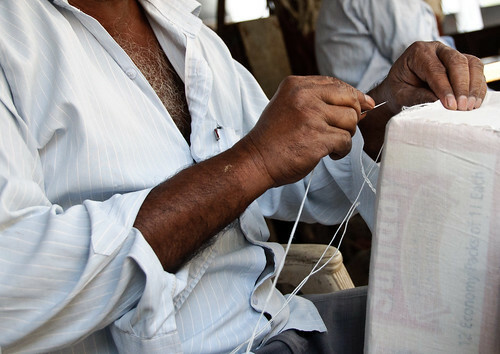 During our stay in Jodhpur we had picked up a few souvenirs for our family so to keep weight down we had to send them back home. Just like in Vietnam, and quite frankly even the US, visiting a post office is always an experience. 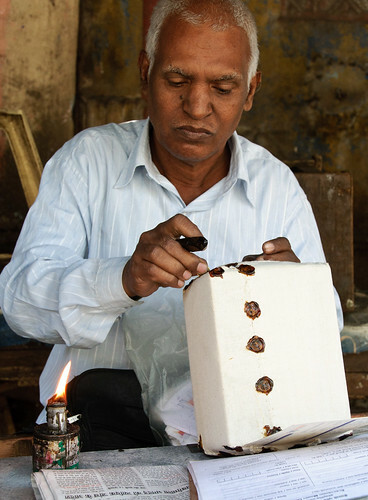 In India you don't just show up with your box to mail, you have your stuff beautifully packaged. There was small awning covered stand outside of the post office where men would first find a box, cut it to the dimensions of the contents and then would sew fabric around it and finish it off with some wax. The whole experience felt very regal, like we were sending some special item to the Queen of England, but apparently it's very common and helps prevent tampering of packages. Hopefully it works and our items will arrive safely in the estimated 2 weeks. While in Mumbai we tried to get in as many of the sights as we could. We headed to Marine Drive, a very nice strip of road along the coast lined with upscale apartments and also a great spot for a run. 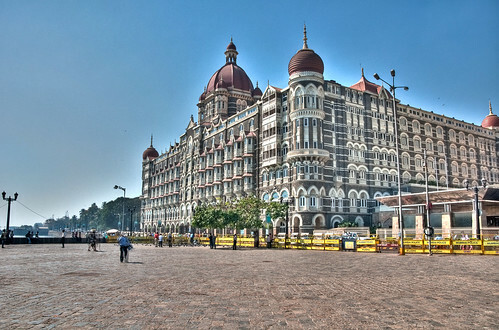 We also visited the other side of the city where the famous Taj Hotel and Gateway of India overlook the harbour. Starting from the harbour we took a boat to Elephanta Island, home of the Elephanta Caves. 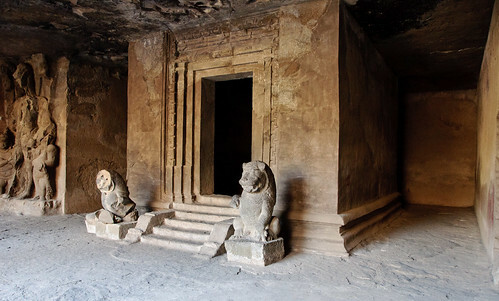 They are a network of caves with sculptures and temples. 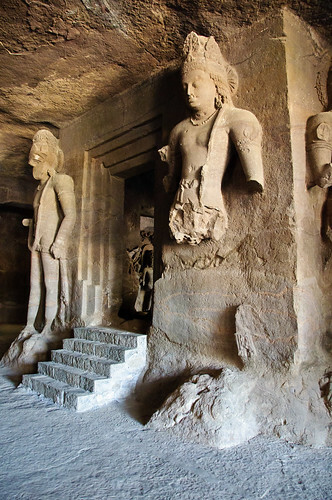 We weren't quite sure what to expect visiting the caves, but we were pleasantly surprised. 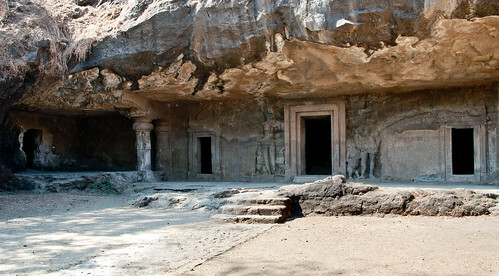 The caverns have a very quiet and secluded feel being only a few kilometers by boat from Mumbai. The island is also crawling with mischievous monkeys, who on numerous occasions we saw grabbing food directly from people's hands. In one case a monkey stole a shopping bag from a woman, ran into a tree and proceeded to pull each item out of the bag, inspecting it (presumingly for food) and then throwing it to the ground. When the bag was emptied the monkey tossed it to the side and it went about its way. Abby was almost a victim when a monkey grabbed at her water bottle and then growled when she didn't let it go. We both enjoyed Mumbai, so much so Abby even mentioned she could live there. 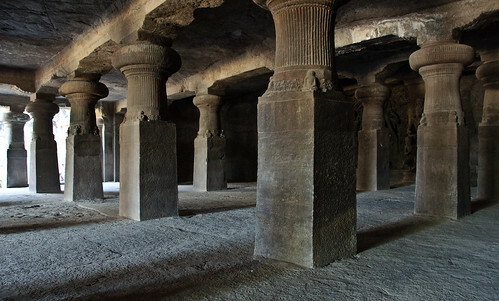 It really had the feel of India, but with all the aspects of a major western city. However we both were excited by our next destination, a quiet week of relaxation in the mountains of Kerala. Started reading Shantaram a few days before we arrived in Mumbai. It's been a great read especially since we can relate to the culture and places. Where are you going next? Contact home!